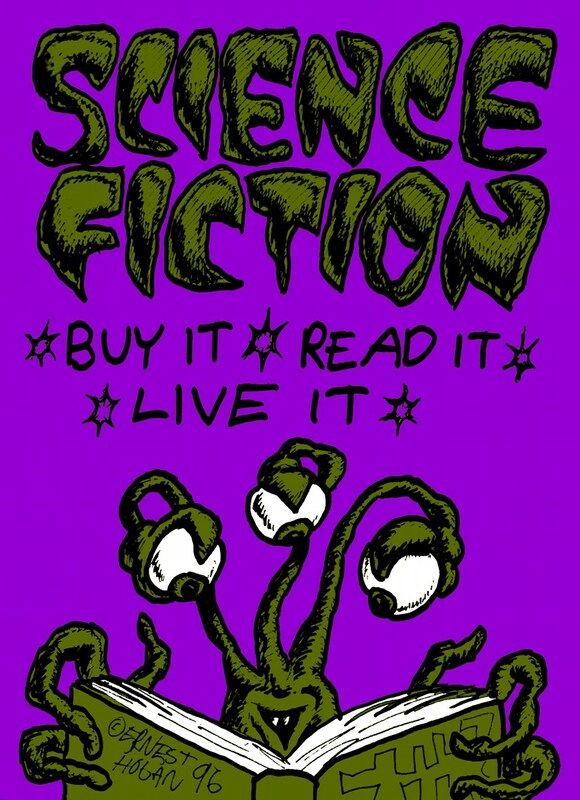 My announcement for Alien Contact wasn't the first time I used the “Buy It – Read It – Live It” slogan. It's been rattling around my brain for years. While shuffling through a box of old art work looking for “alien” images for this current publicity blitz, I ran across the original drawing I did back in 1996. I drew it at a book signing event at a Phoenix bookstore that probably isn't there anymore. My wife Emily was there, so was Rick Cook, and the late G. Harry Stine. Michael Stackpole, and a few other local writers may have been there, too. Please forgive the memory fog – this was way back in the 20th century . . . Anyway, the slogan was inspired by how, even way back then, everyday life was beginning to seem like science fiction. At least, to those of us old enough to remember when weird, technological wonders were something you used to go out searching for, rather than part of an ever more interactive environment. 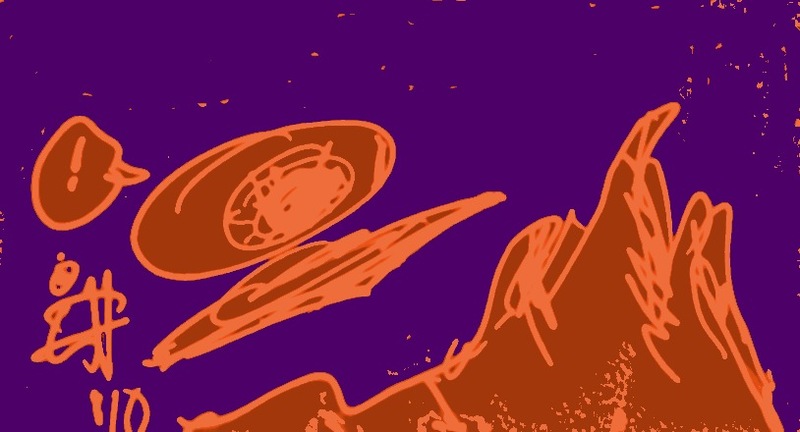 The slogan also fit the whole “alien contact” theme, so I did a bit of recycling and retrofitting, and turned it loose into the unsuspecting world. It just goes to show that you never know when these things lurking in the back our your brain will come in handy. I may do some variations on it in future hype-o-ramas. Watch for these exciting developments.